OMG I got this post ready yesterday and it never published! Oooops! So I'm bringing you yesterday's post this morning! So what is this week's book? How To Teach Filthy Rich Girls by Zoey Dean. 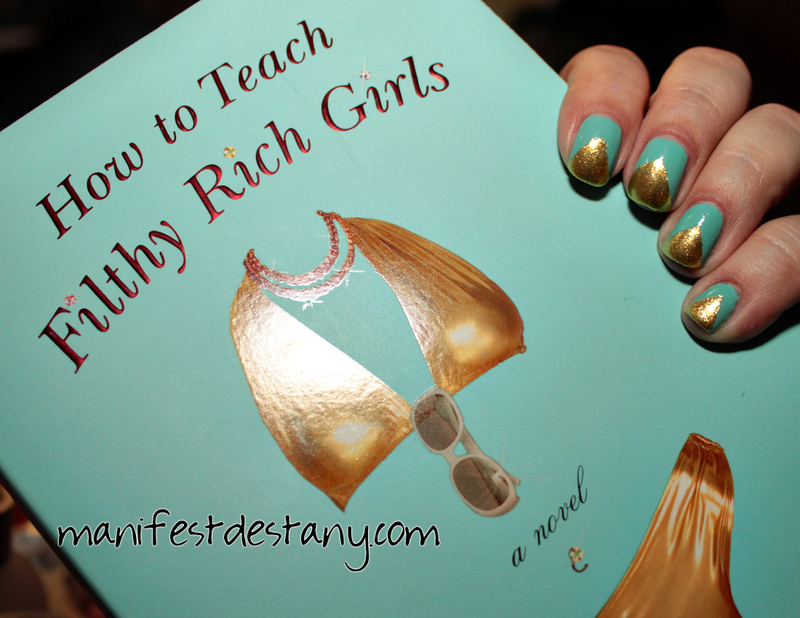 The cover is a minty green adorned with a flashy gold, very expensive looking bikini. It appears that it's being worn by someone invisible because there's a necklace and belly button ring. This book was the inspiration for the TV show Priviledged, starring Joanna Garcia and Lucy Hale (of Pretty Little Liars fame). I decided I wanted to do a tape mani for this...and make the gold, flashy triangles like the top of the bikini. I chose ORLY Gumdrop for the base, and it matches almost perfectly! I bought ORLY Gumdrop from Sally's years ago with my own money. 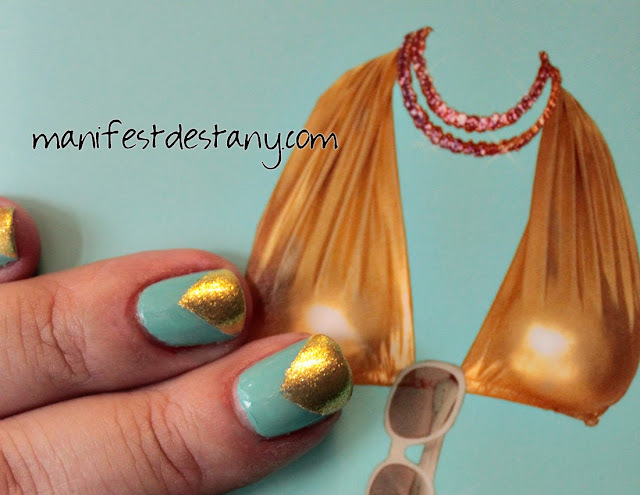 I used regular Scotch tape to section off my nails, making a triangle toward my tip. 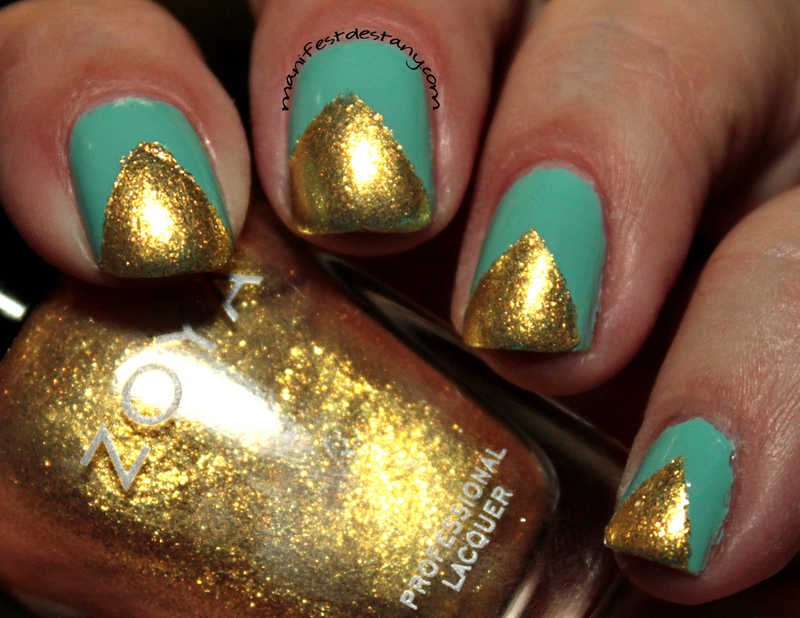 Once I did that, I painted over my nail in Zoya Kerry, which was provided to me by Zoya PR.